My “wish list” items from this year’s Nordstrom Anniversary Sale are mostly shoes, boots to be more specific. Living in Colorado and working in a casual office, I wear jeans/sweater/jacket almost all Fall/Winter long. And what goes better with jeans? Yep…boots! There were two particular boots that I’ve been lusting after even before the sale began, Frye and Hunter boots. 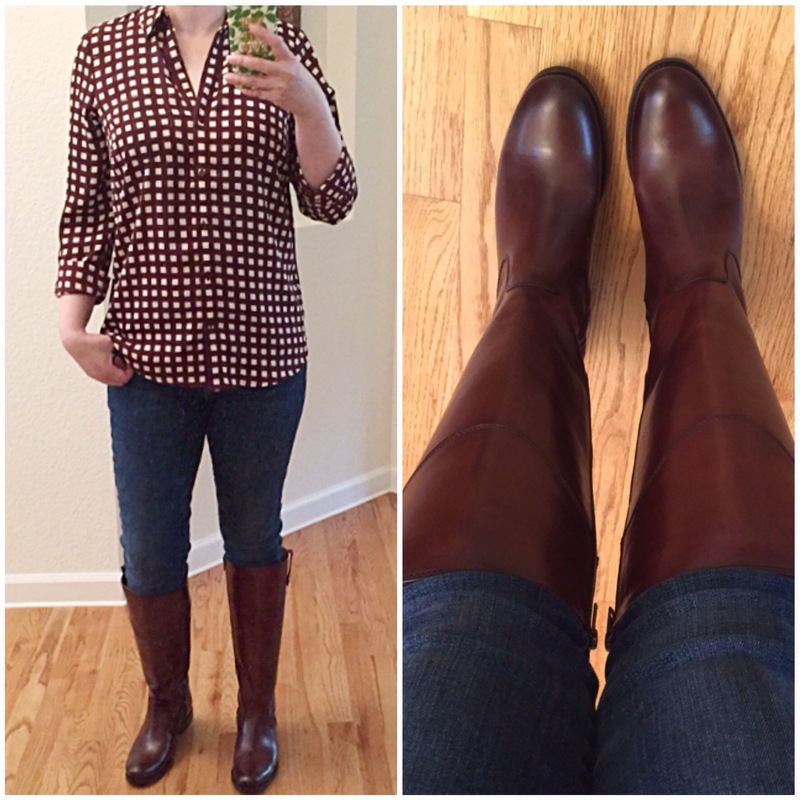 So when I saw the Frye Melissa Tab (in Redwood) and the Hunter Back-Zip Tall Boots in their sale, I was excited. Click the images above to look at these closer on the Nordstrom website. 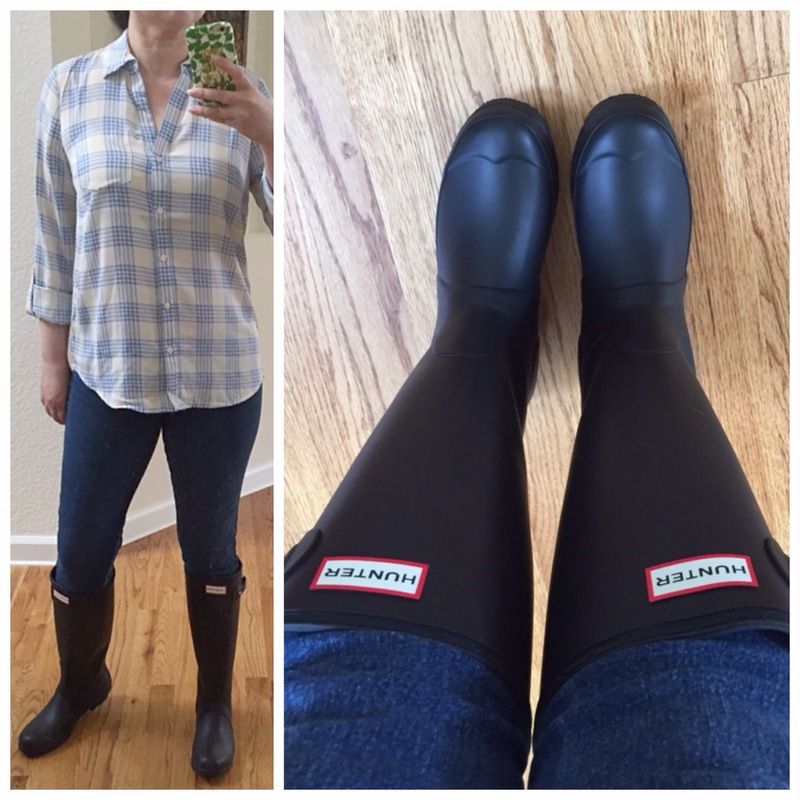 I’ve always wanted to pick up a pair of Hunter boots; the winters here can be slushy and icky because of our quick weather turn-around (snowy one day and sunny the next). 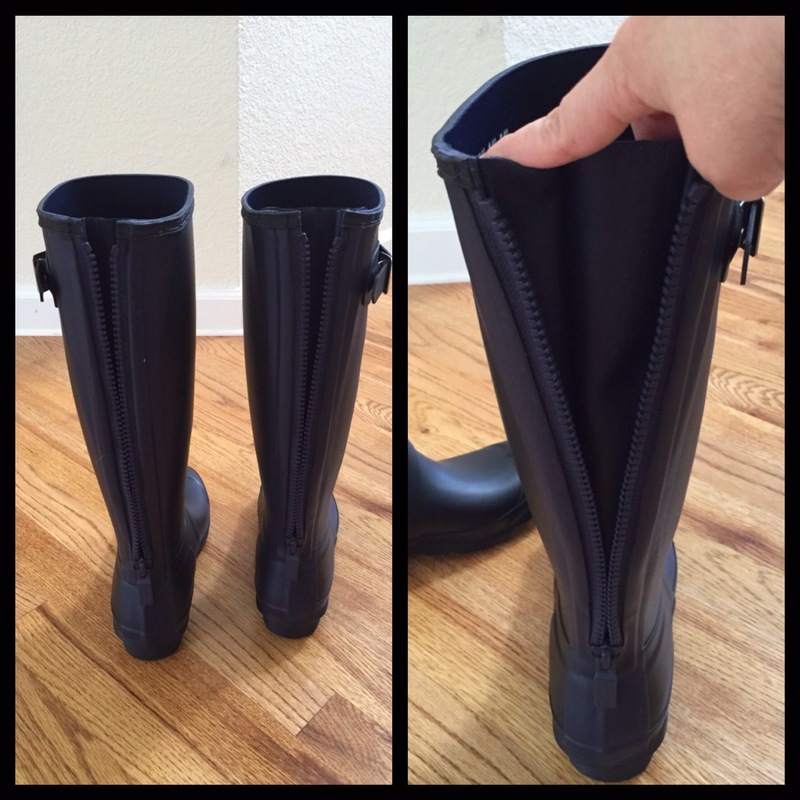 I have a pair of Burberry rain boots that I love but it’s not tall enough; hits me just a tad above mid-calf. But one thing that I don’t like about rubber or rain boots and in general are those that are pull on boots. With my calves, it never works out. So when I saw this back-zip option, it was a done deal. I got it in a 6 (my true shoe size) which leaves room for thick socks and tucking in skinny jeans. The back-zip is very nicely done; exposed zipper with material behind it so it never actually separates…brilliant! It’s $250 regular price, on sale for $170. Only comes in black though; I wished they had other colors. The Frye in Redwood is exactly the color I’ve been looking for; I love the deep cognac shade and the leather is fantastic, true of Frye’s reputation. It’s regularly $418, on sale for $280. I would say it’s TTS; I’m normally a 6 in most shoes but with boots I size up to 6.5 because of my thick calves. In the Frye boots, I got the extended or wide calf version in a size 6 and it fits just right! I would recommend you try or see these in person; you will love it! The other two boots that I’m still eyeing are the Sperry water proof rain boots and the Steve Madden Wassup booties. I’ll have to check them out in person to see if they’re worth the sale price. I better hurry…countdown begins; prices go back up on August 3rd. That’s it for now!